This title has got it all hasn't it? I like to throw in a 1970 reference every now and again and tonight Mrs Pepperpot is the chosen one. Do you remember her? She was an old dear - I don't know her background. I don't know if she had a chequered history. If she was a sad, bitter and twisted old cow that no one visited. Or was just a sweet old dear who liked sucking on a humbug. If truth be told the stories weren't life changing or memorable but her hair style was. She had a bun look going on. The modern day equivalent would have to be 'the Croydon face lift'. Now I wouldn't say I have quite a Croydon face lift going on but during the day I am starting to resemble Mrs Pepperpot. 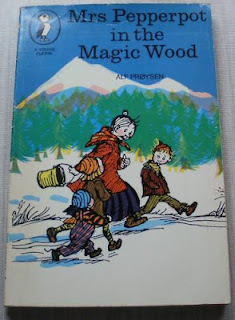 Trouble is if I would say to someone "god I look like Mrs Pepperpot" I'm sure they'd have no idea what I was going on about - which is actually...er..not that uncommon. I have long curly hair. I like it. I can't be doing with straightening it like everyone else seems to do. I do not own a pair of those 'HD's'. I have had my hair straightened a couple of times at the hairdressers for a change. I looked about 15 (maybe I should start doing it again) as well as 2 stone heavier. I think you have to have a slim face for straight hair and my bear head doesn't sit nicely with straight hair. Also I only have a couple of grey hairs which I'm now starting to realise is pretty, pretty good for a 39 year old. I should wear it down more often before the whole lot is covered in grey hair. I just shove it up on the top of my head during the day as its just easier but attractive it ain't missus. A modern day version - maybe they should call it Mrs Croydonfacelift? Enter the dumbbells - well I've ordered 3kg ones as my highest are 1.5kg which wasn't enough with my workout I did the other day. Hopefully I'll get them before the weekend. I've also set my Biggest Loser workout to 'intense' which I will try out tomorrow (my 3rd workout). I'm already feeling much fitter and my stomach has gone down a tad. I totted up my workouts since the beginning of January - I've done 15 workouts. I haven't maintained my food diary very well so need to get on it! 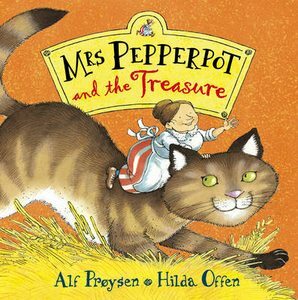 I read Mrs Pepperpot to a pupil recently. I remember her adventures being more exciting when I was 8. She had a husband btw so don't worry about her being a lonely old bitter hermit - she was actually very jolly and 'glass half full'. The Person in The Post Office Is..